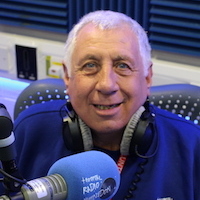 Hello, my name is Phil Lee and I present the Wednesday evening Request Show with Raymond Jackson and the Friday evening Request Show with Robert Rickwood. I also co-present the Sunday morning breakfast show with Raymond. My lovely wife Jackie used to work at Hillingdon Hospital and she noticed a request for volunteers for Radio Hillingdon and that is how I started in 2014. I used to be a taxi driver before I retired, so I enjoy meeting and chatting with all the patients. I enjoy finding their requests and playing them as I know it gives them a boost. I have also been known as a bit of a joker and enjoy telling the odd joke or three to give the patient a bit of a laugh hopefully not a groan. ha ha. Apart from volunteering at Radio Hillingdon which I enjoy very much my interests are many and varied, astronomy, travel and spending time with my family and friends.